Delighting the state’s elected leaders, Trump trimmed nearly 2 million from southern Utah land preserves; proclamations stripped out Cedar Mesa, other key landscapes. On a swift visit to Salt Lake City Monday morning, Trump dramatically reduced the once 1.35-million acre Bears Ears to 202,000 acres in two new renamed monuments and the Grand Staircase-Escalante to three new monuments totaling more than 1 million acres, down from 1.9 million acres. Here’s a look at the new monuments — and key areas now left out of national monument protections. 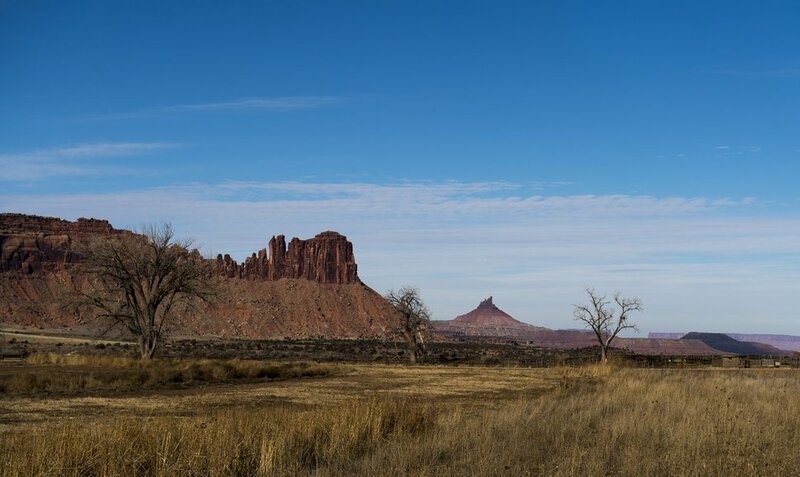 Anchored by Comb Ridge west of Blanding and Bluff, the new 129,980-acre monument includes Bears Ears Buttes, the highly visible mesas held sacred by various Native American tribes. Shash Jaa monument carries the Navajo name for the iconic twin buttes that tower 2,000 feet above the surrounding terrain and are held sacred by various tribes, according to Trump’s proclamation. | Courtesy Josh Ewing Utah trust lands officials will auction a 391-acre piece of Comb Ridge at its Oct. 19 auction in Salt Lake City. This parcel, pictured here, west of Bluff is among 12 state-owned properties on tap for a sale that has drawn criticism from sportsmen and conservationists who say these lands should remain public. Just east of the buttes are Mule and Arch canyons which contain ruins built by Ancestral Puebloans 1,000 years ago. “Five-hundred feet deep, 5 miles long, and decorated with alternating layers of red and white sandstone, these 2 striking canyons contain shelter-cliff dwellings and other archaeological sites, including the scenic and accessible House on Fire Ruin, which includes differing masonry styles that indicate several episodes of construction and use,” the proclamation states. Leah Hogsten | The Salt Lake Tribune Arch Canyon in San Juan County is a consideration for Wilderness proposal. Senior staff members from Utah Senator Bob Bennett's office met with commissioners from San Juan county, BLM Kane Gulch field office managers, SUWA and various other organizations May 5, 2010 in Monticello to discuss Wilderness Proposals for San Juan County. The monument covers the entire length of Comb Ridge, which the Navajo called Tséyíkʼáán, or “backbone of the world,” as well as two non-contiguous areas of land featuring world-renown ruins known as Doll House and Moon House, which Trump contends are examples of the kinds of objects are worthy of national monument status. Moon House was likely the last occupied site on Cedar Mesa before the Anasazi cleared out in the 13th century. Doll House is “a fully intact and well-preserved single room granary that is associated with an extensive agricultural area on the mesa top,” the proclamation states. This monument covers 71,896 acres along State Route 211 where it passes through a world-class crack climbing area and Dugout Ranch. This land abuts Canyonlands National Park’s Needles district and captures Six Shooter peaks and numerous rock art sites such as Shay Canyon and Newspaper Rock. Rick Egan | The Salt Lake Tribune Last month, the Bureau of Land Management approved a 6.4-mile motorized route in Indian Creek crossing the historic Dugout Ranch, pictured recently, inside the new Bears Ears National Monument. The trail is located north of Six Shooter Peak, seen in the distance. San Juan County has long sought a right of way here to bridge popular riding areas on either side of State Route 211, but conservationists and one local rancher fear a new trail will invite motorized use in places where it doesn't belong. (Rick Bowmer | AP Photo) FILE - In this July 14, 2016, file photo, the Newspaper Rock featuring a rock panel of petroglyphs in the Indian Creek Area is shown to U.S. Interior Secretary Sally Jewell near Monticello, Utah, during a tour to meet with proponents and opponents to the "Bears Ears" monument proposal. President Barack Obama on Wednesday, Dec. 28, designated two new national monuments in Utah and Nevada. The Bears Ears National Monument in Utah will cover 1.35 million acres of tribal land in the Four Corners region. Left out: Many places, or the natural and cultural resources they harbor, were highlighted in the original monument designations, but were evicted from the new monuments. Glaring ommissions include Cedar Mesa and Elk Ridge, the highlands west of Blanding that once supported an ancient civilization far more densely populated than seen today in San Juan County. 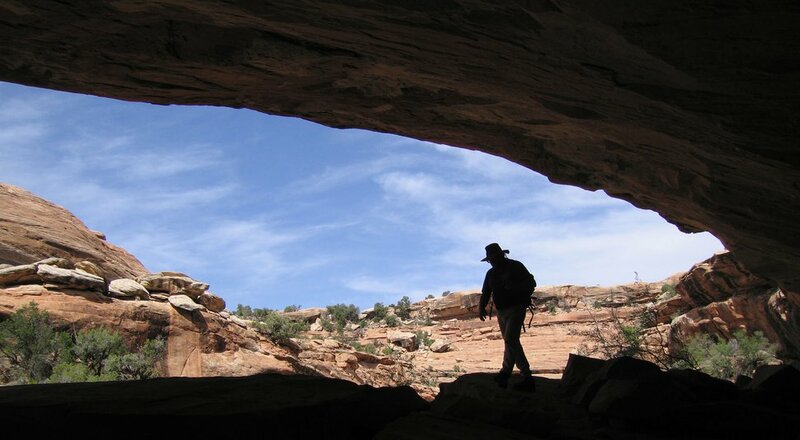 Al Hartmann | The Salt Lake Tribune Hiker explores an alcove in a sandstone canyon in the Cedar Mesa area in San Juan County. The mesa is loaded with Anasazi Indian sites. 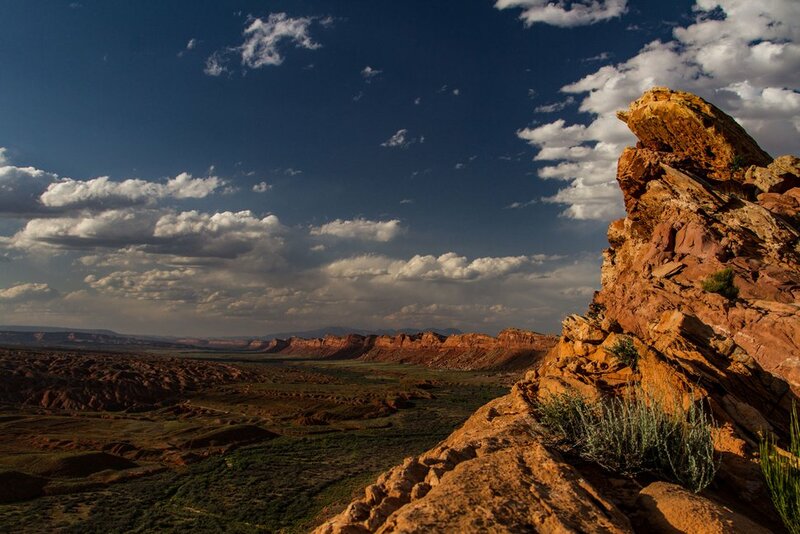 Cedar Mesa is on the Southern Utah Wilderness Alliance list of Utah's ten most threatened wilderness treasures. Also now outside monument boundaries is Valley of the Gods at the southern base of Cedar Mesa, filled with dramatic sandstone spires. Wind and waters sculpted a thick layer of Cedar Mesa sandstone into a massive hallway of multicolored formations with names like Lady in the Bathtub, Castle Butte, Battleship Rock and Setting Hen Butte. 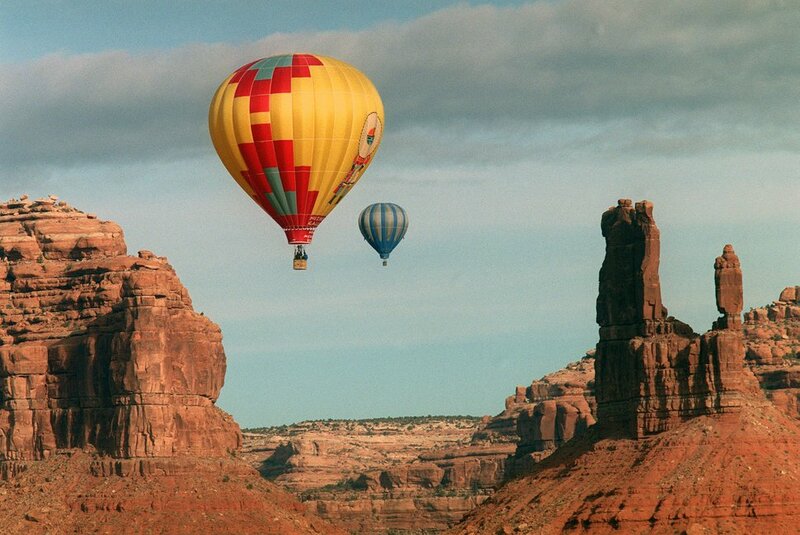 Al Hartmann | The Salt Lake Tribune Hot air balloons hover over formation in Valley of the Gods an area between Bluff and Mexican Hat. 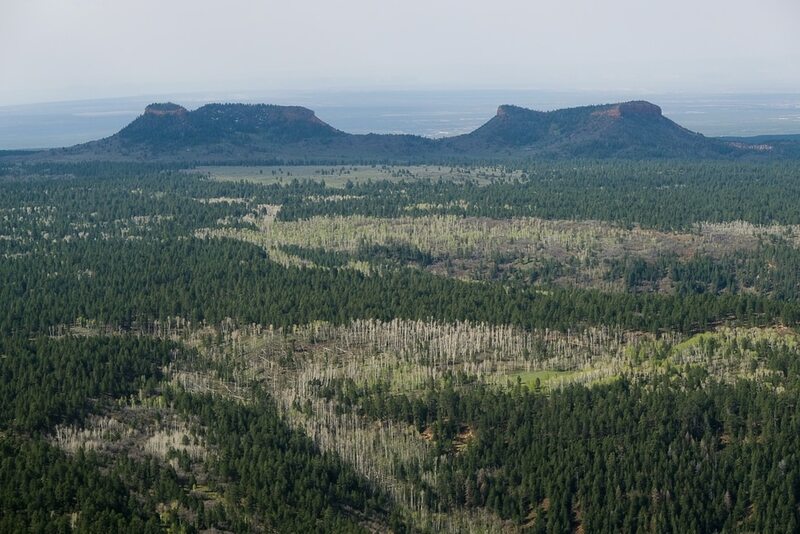 The area is included in a proposed Bears Ears National Monument. 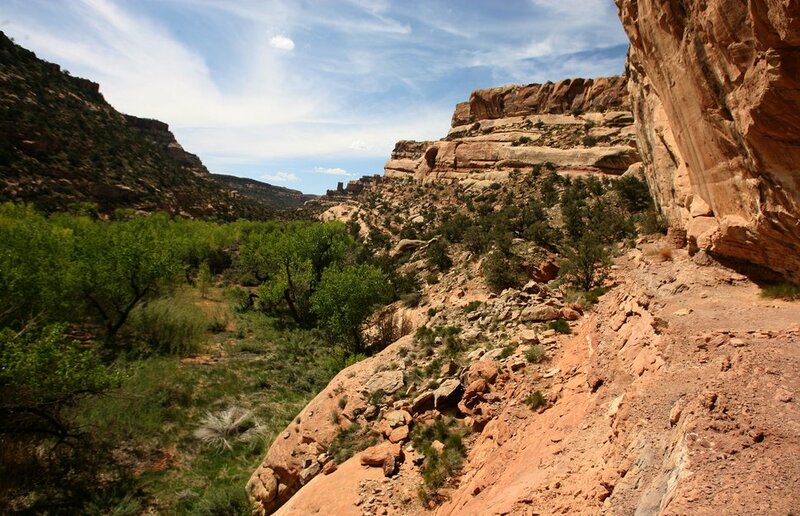 Excluded, too, are several sites popular with motorized users and climbers, including Lockhart Basin, resting along the Colorado River opposite Canyonlands National Park. Cliffs of Wingate sandstone hem this area. About 200 miles of canyons wind through Mancos Mesa, an island in the sky overlooking Lake Powell and also now omitted from monument status. 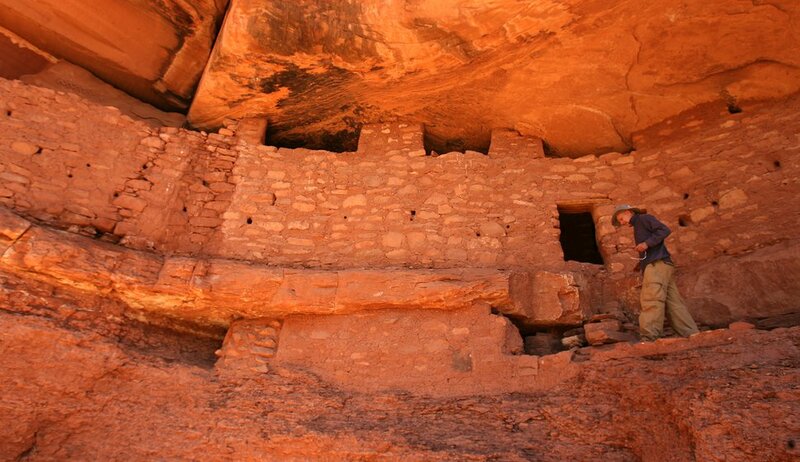 Trump concluded these places, along with habitat, wildlife species and cryptobiotic soils and archaeological sites, did not warrant protection under the Antiquities Act. According to his proclamations, these resources are not unique to the monument, not under immediate threat, don’t qualify as “objects of historic or scientific interest,” or are protected under existing federal law. Spanning 1.9 million acres when declared by President Bill Clinton in 1996, Grand Staircase-Escalante National Monument is now carved into three monuments, named, west to east, Grand Staircase (209,993 acres), Kaiparowits (551,034 acres), and Escalante Canyons (242,836 acres), totaling just over 1 million acres. This “unbroken sequence of cliffs and plateaus, considered to be the most colorful exposed geologic section in the world, has inspired wonder in visitors since the days of early western explorers,” the proclamation reads. It encompasses two critical steps of the Grand Staircase, the White and Vermilion cliffs. (Tribune File Photo) The Vermilion Cliffs tower over the Lees Ferry Lodge in northern Arizona. Considered the most scenic part of the old Grand Staircase monument, this network of slickrock slot canyons draining to the Escalante River includes the 130-foot-tall Escalante Natural Bridge. 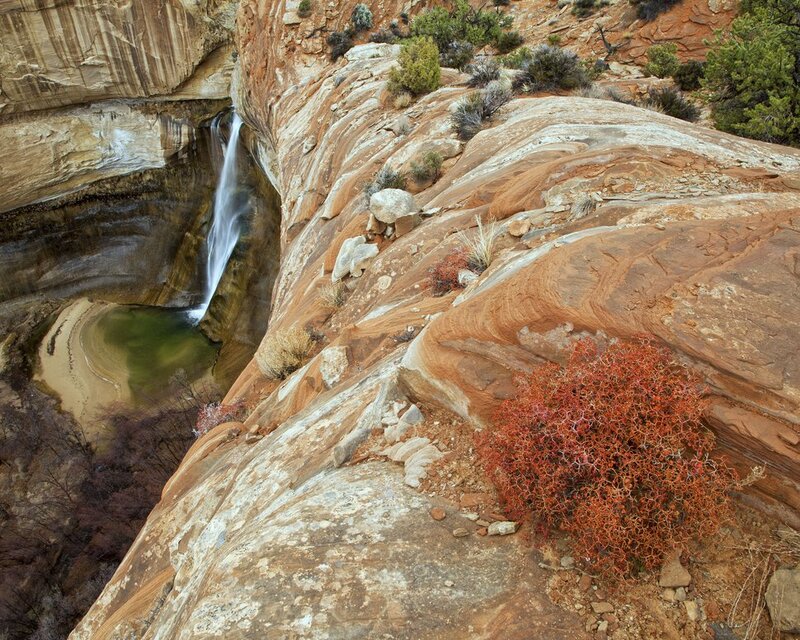 Courtesy | Bret Edge Standing at the top of a cliff provides an unusual view of Calf Creek Falls in Grand Staircase-Escalante National Monument, Utah. Included in this monument are Grosvenor Arch, Hackberry Canyon, the Cockscomb and the old Paria townsite. (Tribune File Photo) Kodachrome Basin State Park serves as a good base camp for visits into the Grand Staircase-Escalante National Monument. Grosvner Arch is about 10 miles south of the state park on the Cottonwood Canyon dirt road. The arch was named by a National Geographic Soecity expedition in the late 1940s in honor of Dr. Gilbert Grosvenor, president of the Society. Under the 1,600-square-mile plateau, bordered by the Straight Cliffs on the east and Paria Canyon on the west, are sedimentary rock formations containing an unbroken record of fossils spanning 30 million years of the Late Cretaceous Era. Life forms of all kinds are recorded here, but dinosaurs have captured the most attention. (Tribune File Photo) Peter Wagner signs a log book after hiking nearly 50 miles through Paria Canyon. Wednesday, Sept. 28, 2016. In an apparent effort to free up some the Kaiparowits Plateau’s rich coal seams, the monument’s boundaries feature arms jutting in all directions that framing big sections that were taken out. They also delineate three non-contiguous satellite units, including Dance Hall Rock, an important layover spot for the San Juan Expedition of 1879-80, and two blocks of land just north of U.S. Highway 89. It is not clear why these two swaths of land near Big Water were included. Left out: Among other places excluded from monument protection are most of the Hole in the Rock trail, used by the San Juan Expedition between Escalante and Dance Hall Rock; Buckskin Mountain, on the Arizona state line; Alvey Wash, Horizon Arch and Carcass Canyon, all just south of Esclanate; and the canyon spilling off the south side of Fiftymile Mountain toward Glen Canyon.